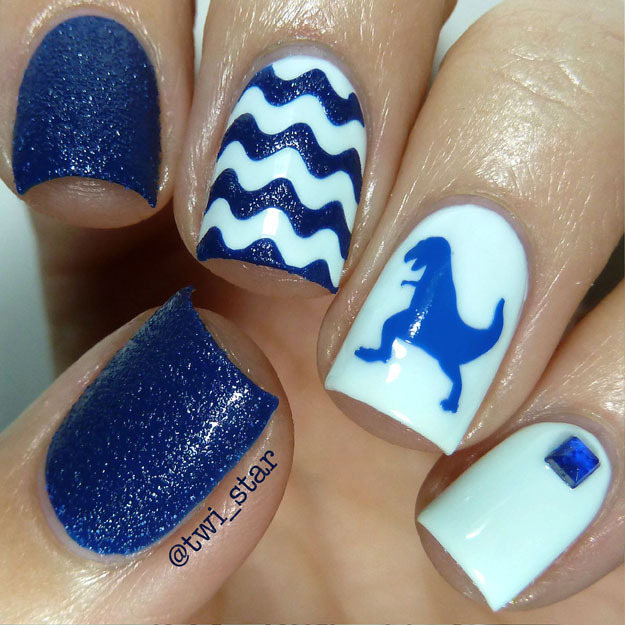 Ready for a super scary T-Rex mani?! 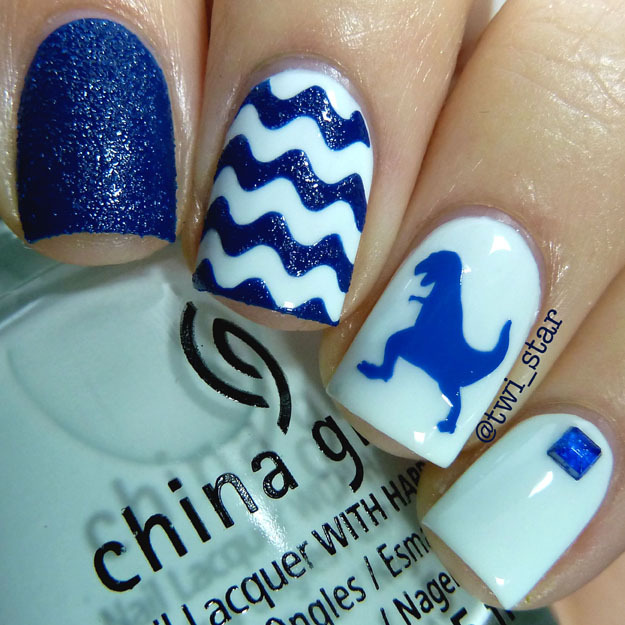 Yea, me neither so how about this adorable one using T-Rex nail vinyls from Vinyl It Up? lol How friggin cute are these vinyls? I bought them just to use with OPI Wharf Wharf Wharf, I thought they would go really well together. Check out what I came up with. Isn't China Glaze New Birth the palest blue creme you've ever seen? Sometimes it looks white, I just love it. It's a little thin so I used 3 coats but I'm not complained. 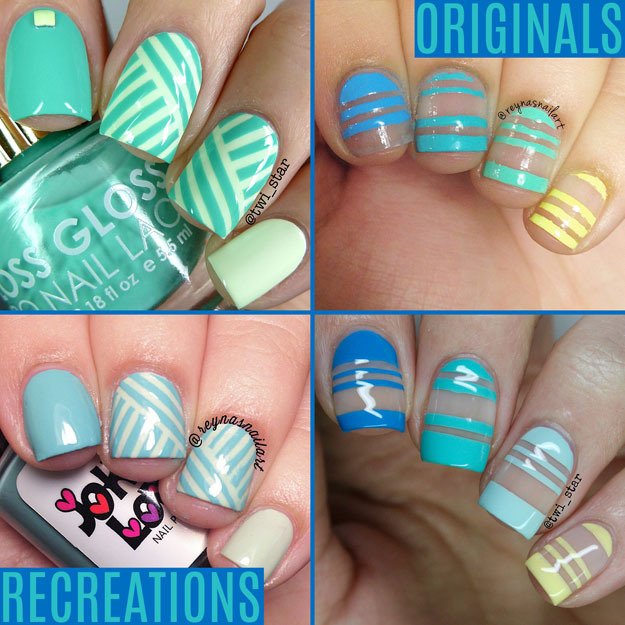 See another mani using New Birth HERE. 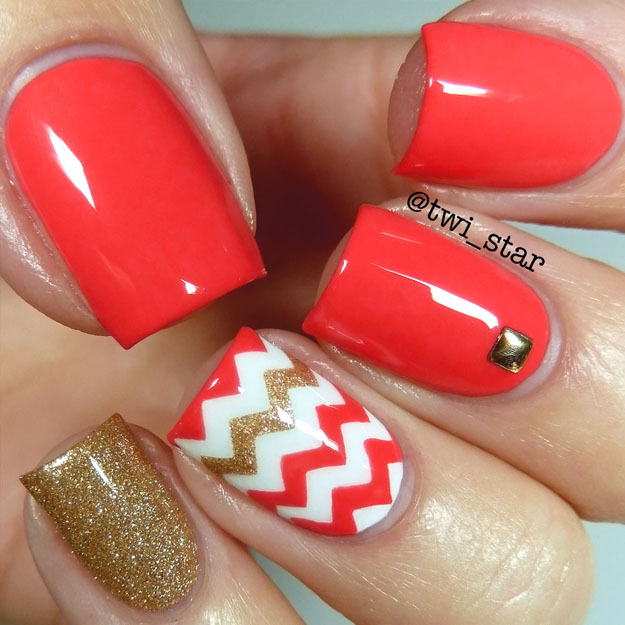 Today’s mani is no ordinary mani, it’s my first Bestie Twin Nails! Aka #BTN. Dvi, that I “met” lol on Instagram, follow her here @naiildazzlee, found the cutest pic of a white and aqua leopard print dress that we used as our inspiration. Pic credit goes to @a_southerndrawl. We spent hourrrrrrrssssss contemplating our design…… ok, maybe an exaggeration but we had fun messaging back and forth our ideas. Check out our work! See more by clicking below! 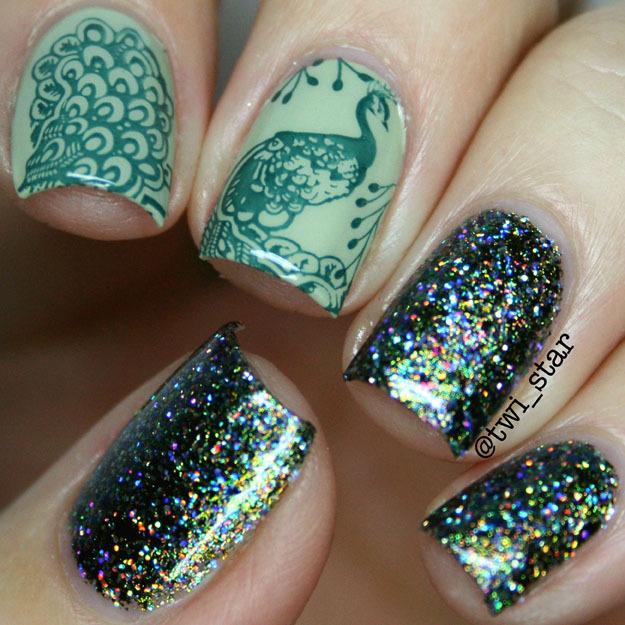 Today I have a double layer stamping mani to share, whoah I know. I’m getting all crazy lol Not really, I just stamped on each nail twice. I used another Secret Garden Bundle Monster plate, BM-706 see my full review HERE! 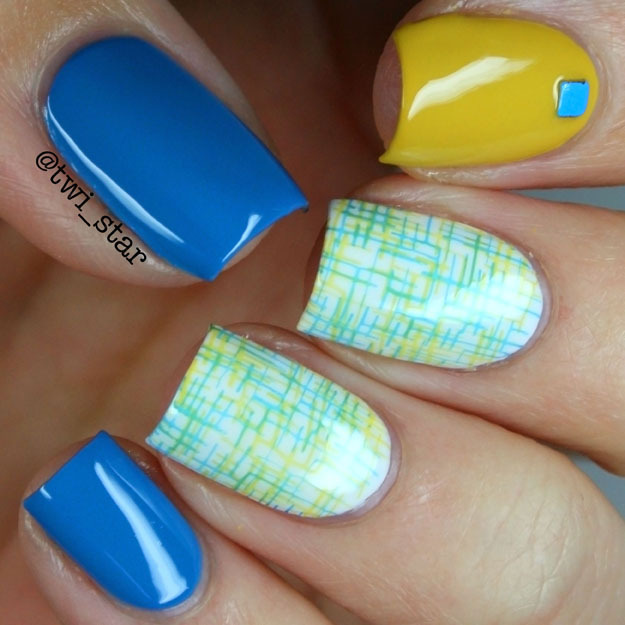 The pattern I used from the plate is a sort of cross-hatch pattern, it reminded me of tweed lol Check out my mani! 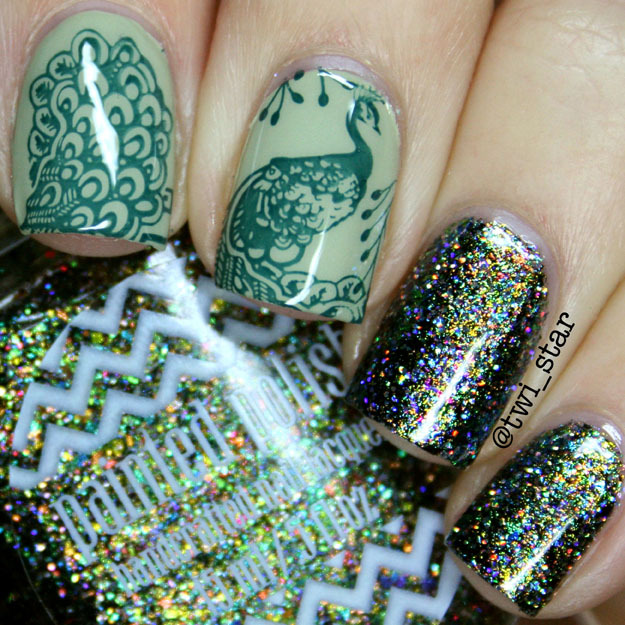 Isn’t this stamp pattern so cool? 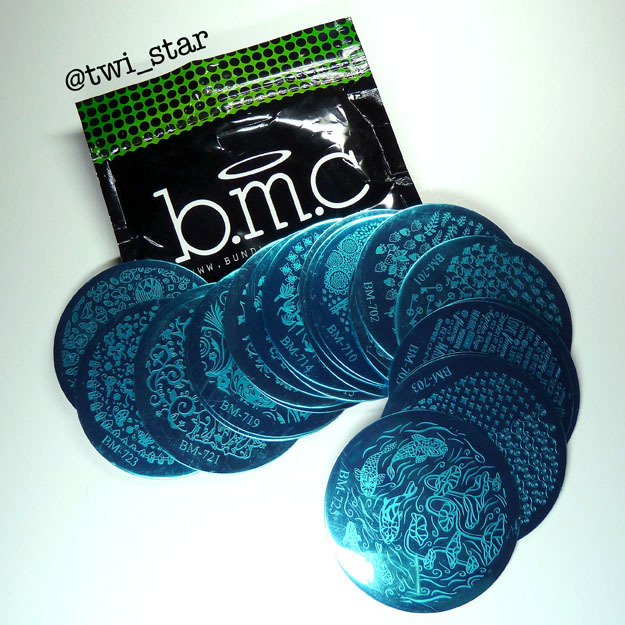 The plate BM-706 stamped perfect and crisp. The blue is Annie from Julep, and the white base is also Julep, Brigitte and it covers nicely in 2 coats. Today I have my first mani using a nail stamping plate from the Secret Garden set from Bundle Monster, see my full review of the plates HERE. I chose plate BM-708 and went with a peacock theme. Check it out! Want to see more? Click below? Whose getting ready for St. Patrick's Day? Meeeee!! 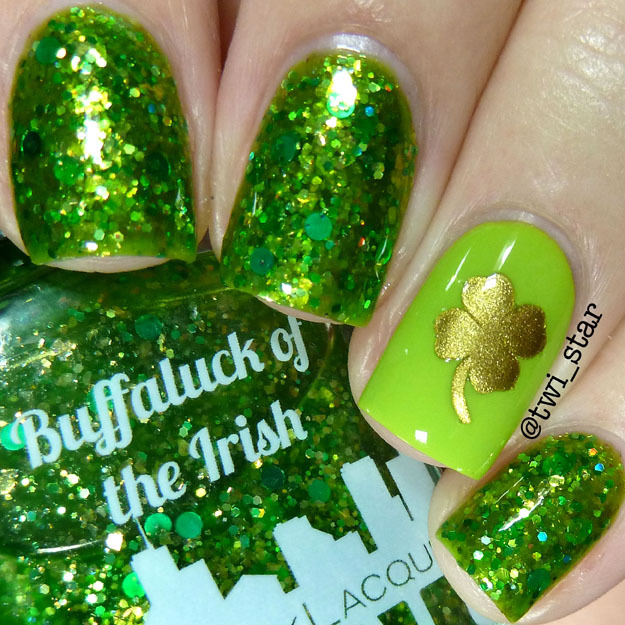 Gridlock Lacquer sent me her new St. Pats Day polish - Buffaluck of The Irish and gold nail vinyls to try out. 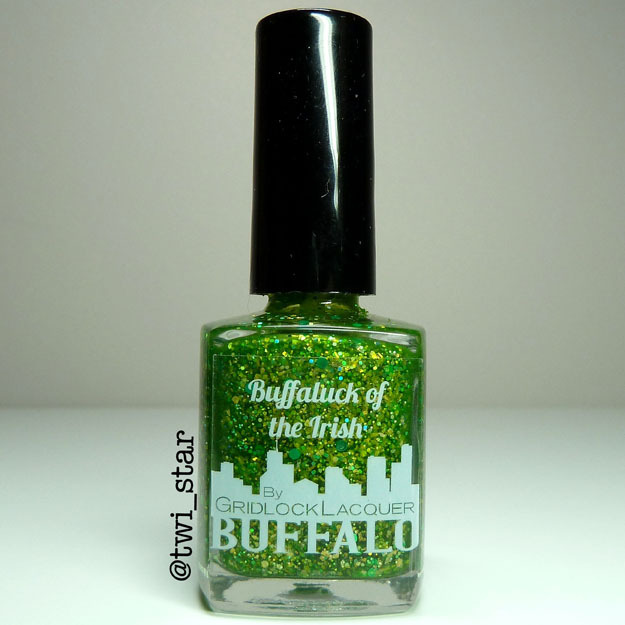 In the bottle I loved it and I love it even more on the nail, so bright and glittery and would be PERFECT to wear to any St. Patrick's Day events. Check it out! Since Valentine's Day is over I wanted something completely NOT pink lol I love pink but I needed to move on, so I chose a couple of bright cremese from Floss Gloss. 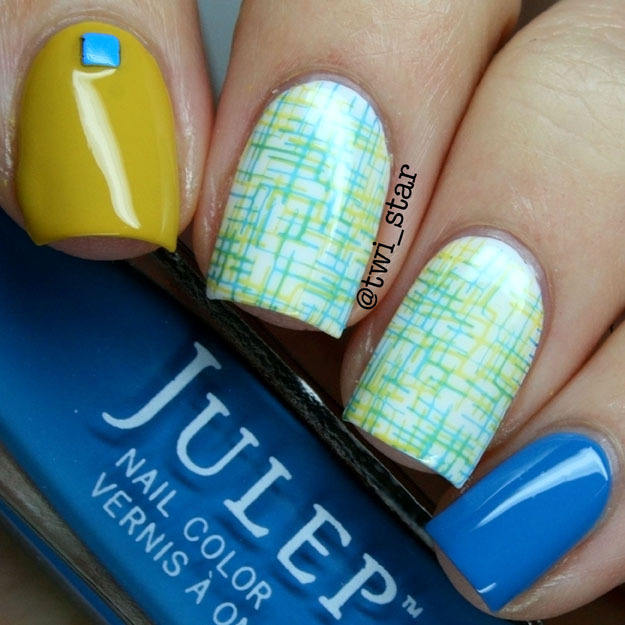 I used nail striping tape to get a basket weave look, check out what I did! 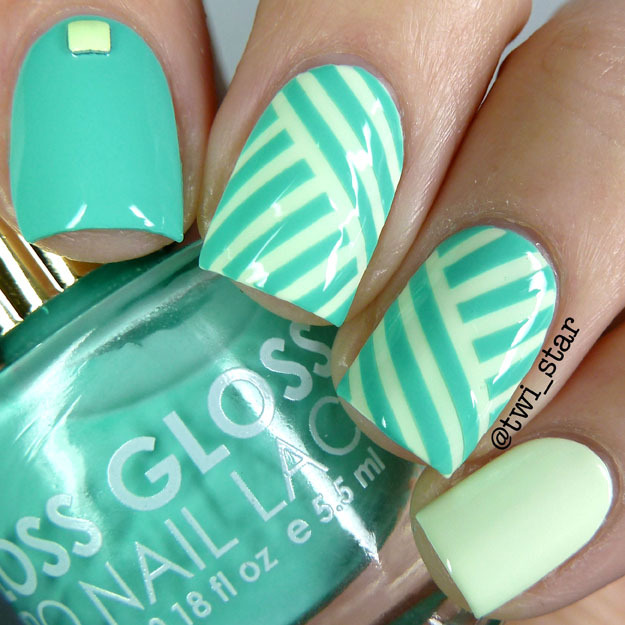 Do you have a go-to polish color? 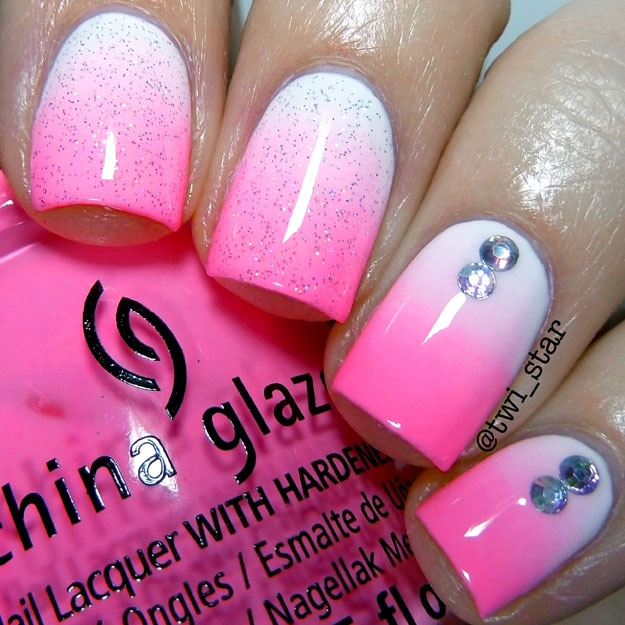 Because mine seems to be pink lately, like really bright POW in yo face pankkkk! 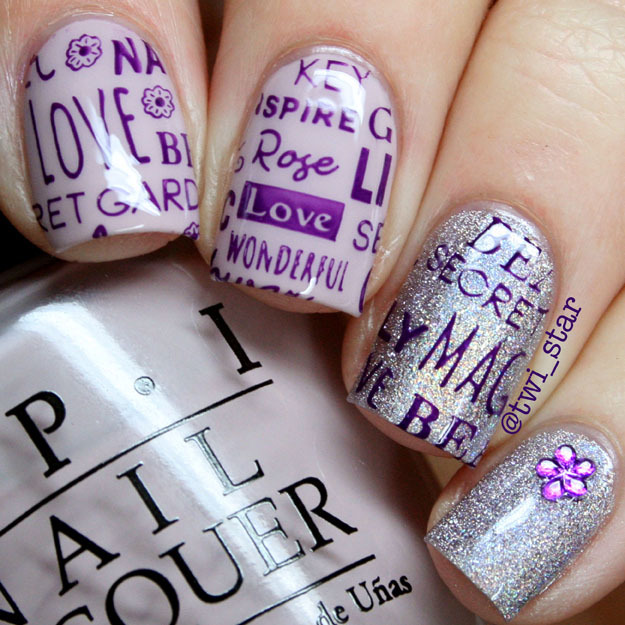 Being Valentine's Day week I wanted to do (yet another) themed mani, but I think this one isn't all lovey dovey like. I knew China Glaze Bottoms Up was going to be the star, so here she is! 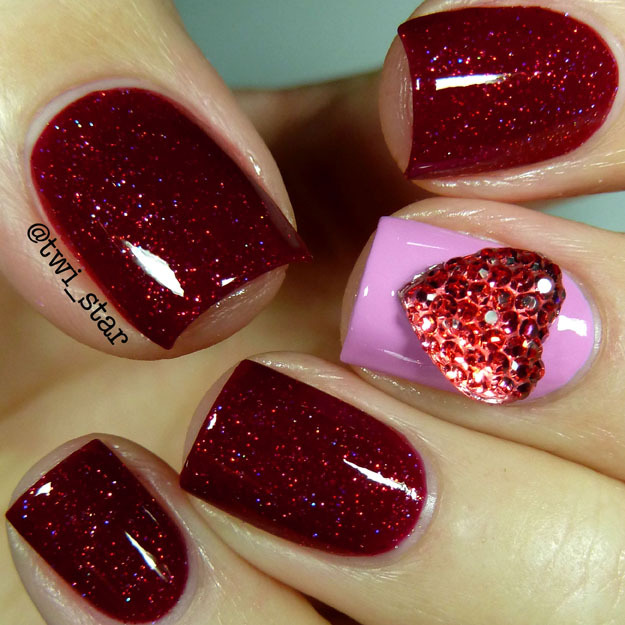 Today I have a red and pink glitter mani for Valentine's Day. Shocking right?! I just can't seem to not want to use this color combo around this time of year. I've had Azature Red Diamond in my pile of un-trieds for a while and it is PERFECT for Valentine's Day! Check out my look. Valentines Day In Love sheep pink nail art with decals! 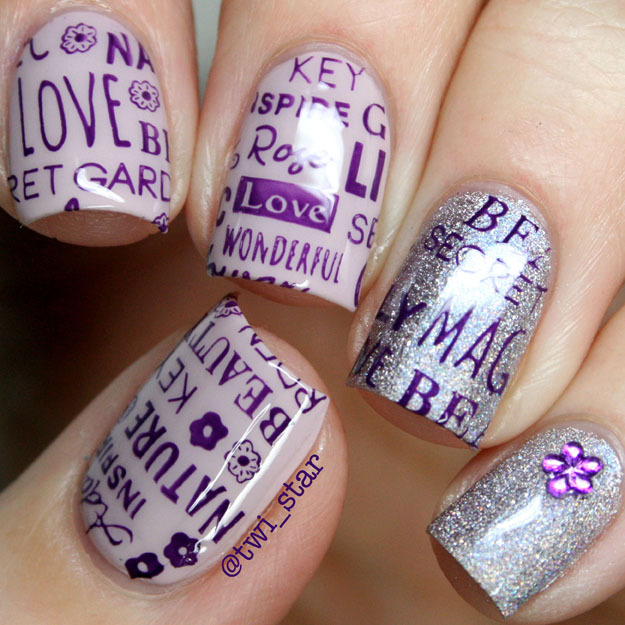 Are you ready for some Valentine's Day nail art? I found these adorable sheep in love Valentine's Day decals and couldn't wait to use them because I don't think I've ever seen any sort of nail art featuring sheep haha Check out what I came up with. 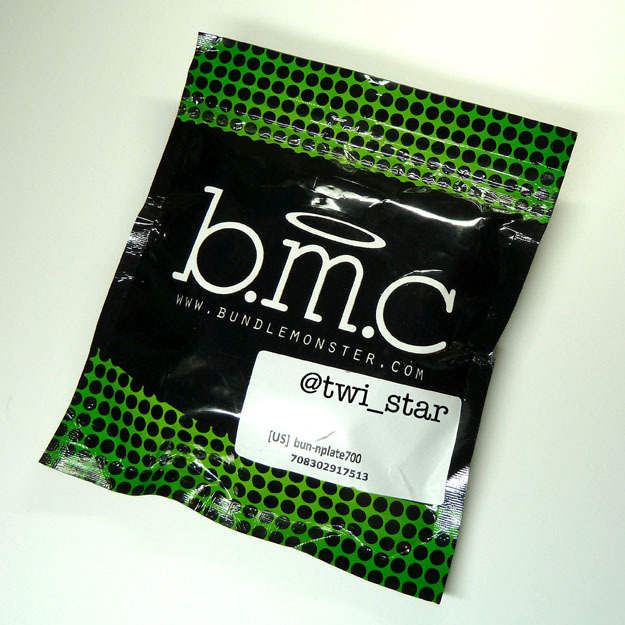 Bundle Monsterto share! I have some Bundle Monster stamping plates but I’ve never tried their polishes, actually I didn’t even know they have polish lol So I was pumped when they sent me an entire collection to review. They picked a collection that is right up my alley because it’s mostly cremes and the colors are some of my faves. 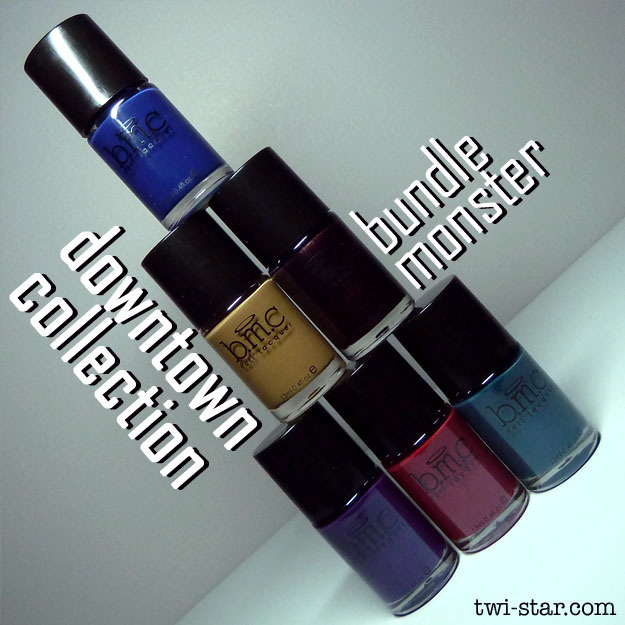 Let’s check out the Downtown Collection!